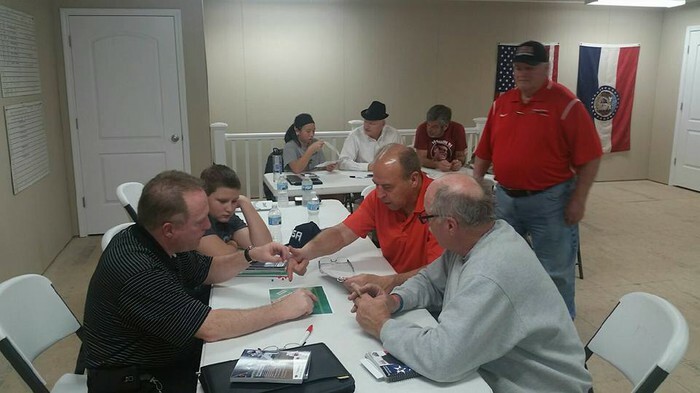 Did you make it out to one of our Mini Camps? A Rules Discussion night? 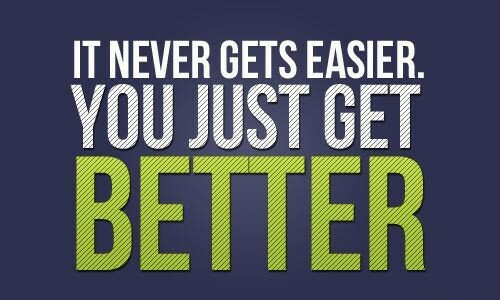 If you did, we appreciate you putting in the time to train. 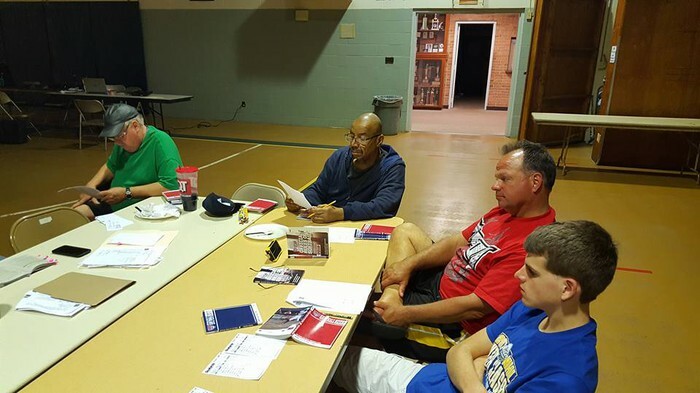 For those who didn't attend this year, here are a few topics we covered: terms and definitions, appeals and awards, obstruction and interference, lineup card management, working the slot, calling pitches, and timing. 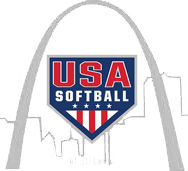 * Lots of Obstructions at bases by defensive players not involved with any type of play - umpires are not watching/seeing/signalling this when it occurs. * Bat "Donuts" are ILLEGAL and should not be allowed by teams to be used. * When moving to get into positions for steal plays, be sure to stay parallel with the BASE LINE to keep the best angle rather than moving toward the base and cutting your angle down. * Several umpires are incorrectly verbalizing "Foul Ball" and/or "Foul Tip" - Be sure to KNOW the difference between them! In addition, some are calling "Foul Ball" before the ball is technically "foul." Poor Habit! 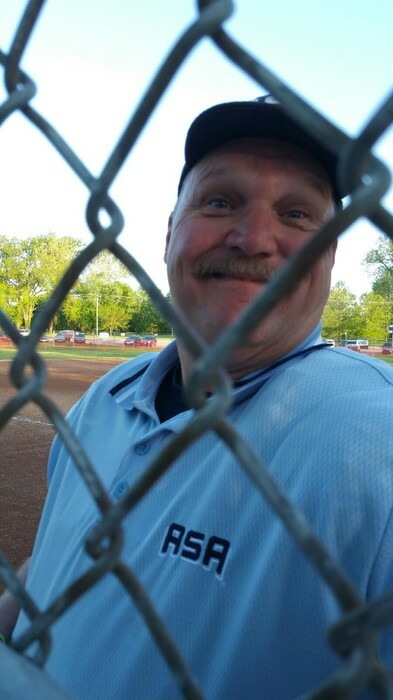 * A foul ball that goes directly back to the backstop, or way over the fence with no chance of even a play, the umpire does NOT have to make a big production out of this - No reason to shout "foul ball" & there's likely no reason to give the "dead ball" signal. If it's so obvious that the blind man down the street knows it's foul - don't worry about doing anything with it! 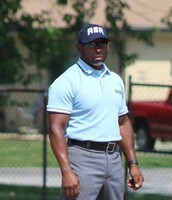 * Base umpires, always square your body to the plate rather than to a base, a runner, or the pitcher. * Must do a much better with score cards! Some are missing team names, some have the wrong team winning, it is the responsibility of the "CREW" to see they are done correctly. * Recommendation for those with New Balance Plate Shoes - cut the straps on the back of the shoe off so your pants hang correctly. * Uniforms MUST Have Logos! 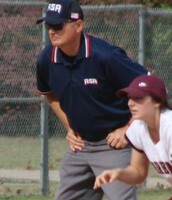 College Jackets should not be worn in place of ASA/USA Softball Jackets. Get the correct jacket on! 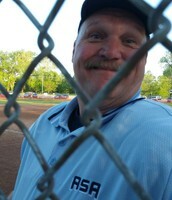 We have been selecting and celebrating those umpires who just "do the right thing". Qualities include timeliness, proper uniform, helpful, work hard and in general make the job of the UIC easier by not being a pain. 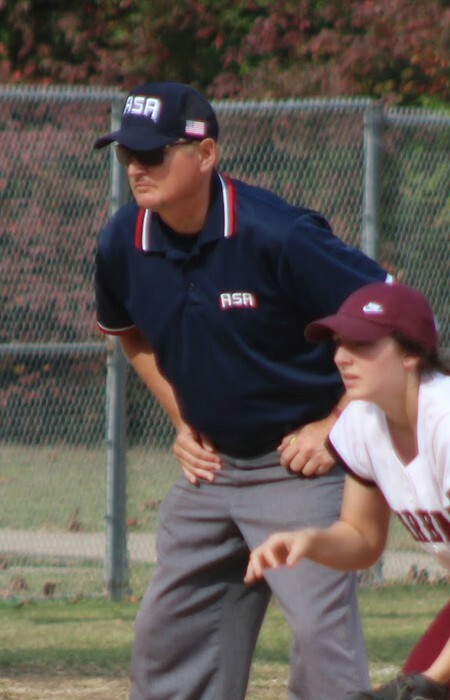 One umpire is selected after each fast pitch tournament and slow pitch umpires will be given honors as the season progresses. 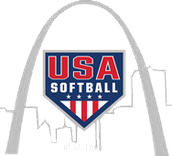 The annual All-Star Game is returning to St. Louis. The location is TBA at this time, but we will be looking for volunteers to help set up and run the event. Donations of Coke products can be made at any time. Consider picking up a 12 pack and bringing it to the next tournament. 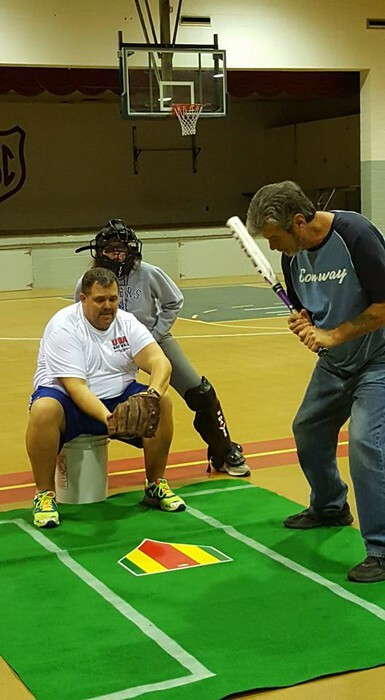 This event raises funds which are used, in part, to reimburse umpires for travel related expenses related to umpire schools and Championship play when out of town. Well, since you can't "take off all your clothes", we have to do something else. Please be mindful of your hydration and nutrition throughout the week. 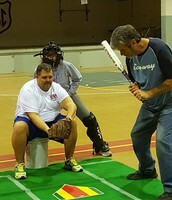 In addition, always have a .5 gallon jug of iced water at your field. 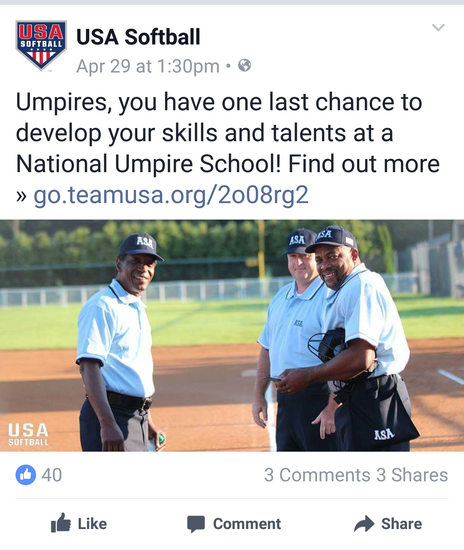 Our very own Leon Watson was featured in a recent ad for National Umpire Schools! 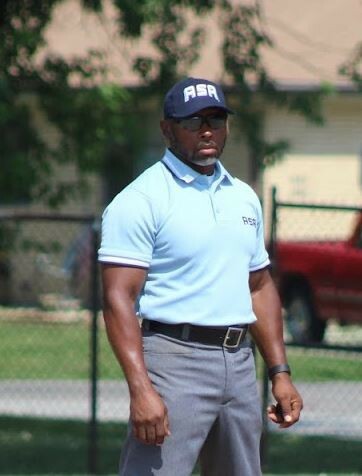 Just a reminder, plain uniform shirts, hats and ball bags are no longer allowed. 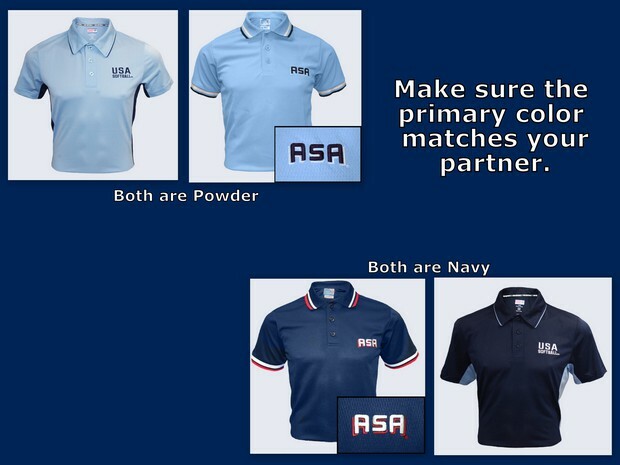 Your uniform must have an ASA or USA logo. If working the two (2) or three (3) umpire system, you need to match primary colors with your partner(s). Do you know what events/tournaments we have coming up? We keep everything on a calendar. You can click this link or find the calendar on our webpage.